Chart Industries, Inc., an independent global manufacturer of highly engineered equipment used in the production, storage and end-use of hydrocarbon and industrial gases, today announced that Chart Ferox, a.s., a member of its Distribution and Storage (D&S) segment in Europe, has been awarded a contract by Hybrid Port Energy Gmbh & Co. KG (HPE), a subsidiary of Becker Marine Systems Gmbh & Co. KG, to provide LNG fuel storage and processing equipment for an LNG-Hybrid Barge, which will operate in Hamburg's HafenCity. The LNG-Hybrid Barge is a unique project between HPE and cruise liner operators and will provide power to cruise liners - in this case AIDA cruise liners - during their layovers in the port of Hamburg using LNG to significantly reduce emissions in accordance with current and future MARPOL regulations. The ability of the cruise vessel to switch from diesel to LNG is expected to eliminate sulfur oxide (SOX) and particle emissions, lower nitrogen oxides (NOX) by up to 80%, and reduce carbon dioxide by an additional 30%. Chart's onboard LNG system is comprised of two 40ft LNG ISO intermodal containers and a skid mounted Gas Processing Unit (GPU), along with connecting equipment, controls, safety appliances and associated piping. 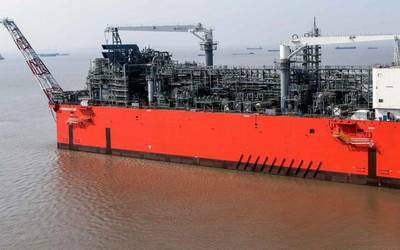 LNG will be supplied in modular form using ISO containers swapped on a full-for-empty basis to eliminate the need for a dedicated bunkering station. All engineering, major capital equipment and assembly will be performed by Chart's operations in Decin, Czech Republic. 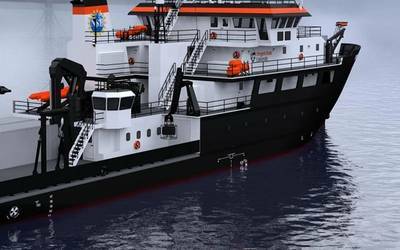 Equipment delivery and commissioning is scheduled for the second quarter of 2014 with the LNG-Hybrid Barge planned to come into operation during the third quarter of 2014.